Our Debt Solutions experts provide a free consultation to recognize your current hardship. We customize solutions to approach your lender, we do not cookie cut any files. Each file is tailored and processed to the each client’s hardship. We have exclusive business relationships with national banks executive offices. 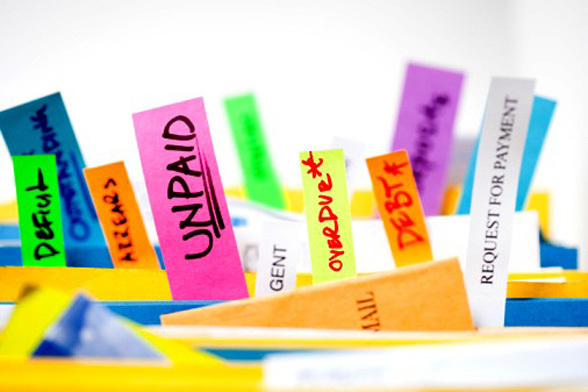 Our Debt Solution process encourages the participation of yourself and your creditors in the negotiation mode. This is very important since both parties are in a position directly communicating their needs from a settlement through our arbitration process. In most cases, Banks work proactively with the borrower. Why Do I Need Your Services? Whatever kind of distressed debt you have, business debt or personal debt, if you can’t settle the debt on your own, call us for a free consultation. For the most part, settling debt for less than the amount owed is completely legal. Do you have money to pay off your debt for less? Have your earnings lessened? Is your current lender not renewing your business line of credit? Have you maxed out your credit lines and credit cards? Do you have a non-performing business partner? Do you want to avoid bankruptcy? If you have answered “Yes” to any our questions concerning your debt, now is the time to relieve yourself from your hardship, settle your debt for less and save money now. If you are having difficulties negotiating your debt by yourself with the creditor, call us for a free consultation to assist you in negotiating your debt. For more information on how we can best serve your personal debt and business debt, please fill out the online contact form about your concerns or give us a call at 855.477.9007. Read what people have to say about First Pro Capital on our Testimonials page. Allow our team of professionals to assist you! Note: We are not a credit counseling company that holds our clients funds into an escrow account nor do we have live telemarketing solicitations. We also refer clients to attorneys and CPAs for assistance.